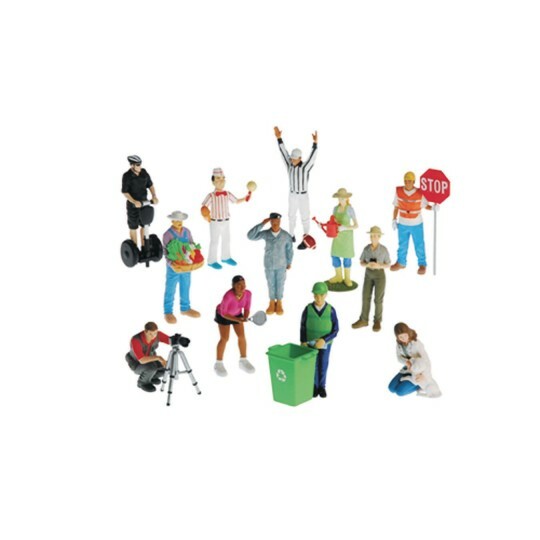 This set of 12 solid vinyl, hand-painted figures includes Police Officer, Farmer, Ice Cream Vendor, Photographer, Gardener, Tennis Player, Referee, Park Ranger, Military, Recycle Specialist, Veterinarian and Construction Worker. 5" tall. Ages 3 and up.